A 91-year-old man was beaten, then doused with gasoline before he and his home in northwest Detroit were set afire by a burglar, police said. Paul Monchnik, a retired TV repairman, was found dead in his burning home in the 20500 block of Bentler Court around 3 a.m. Monday. “He lived by himself; he was nearly deaf, so he lived in his own little world and got along in his own little world very comfortably,” said son Scott Monchnik, 56, who learned Monday morning of his father’s brutal death. Detroit police said they are looking for a suspect who they believe was caught on surveillance cameras buying gasoline at a nearby station. Police said they believe the burglar set the fire in an effort to cover his tracks. Craig said the killer stole the victim’s 2000 silver Chevrolet van. It wasn’t clear this morning whether Monchnik died as a result of the beating or the fire. An autopsy was conducted this morning to determine the cause and manner of death, said Lloyd Jackson, spokesman for the Wayne County Medical Examiner’s Office. The suspect is described as black, in his early 20s, 5-foot 9-inches, with a medium complexion. He was last seen wearing a red or orange skull cap, with a gray hoodie and University of Michigan basketball pants. The stolen van’s license plate is CNU1721. “I don’t think he ever in his wildest dreams thought he would be a statistic or a news highlight of the day,” he said. 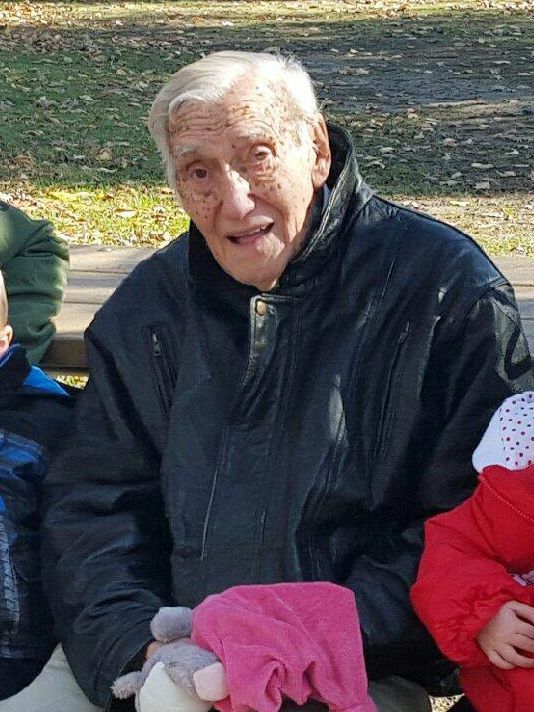 He said his father’s home is in a cul-de-sac with neighbors who would help and look out for him, so he wasn’t especially worried about the 91-year-old living alone in Detroit. Detroit Police need your help. Share this suspected murder’s photo!